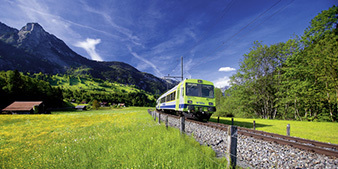 This train, the BLS RegioExpress passes through the Simmental region than along lake of Thun towards Interlaken. 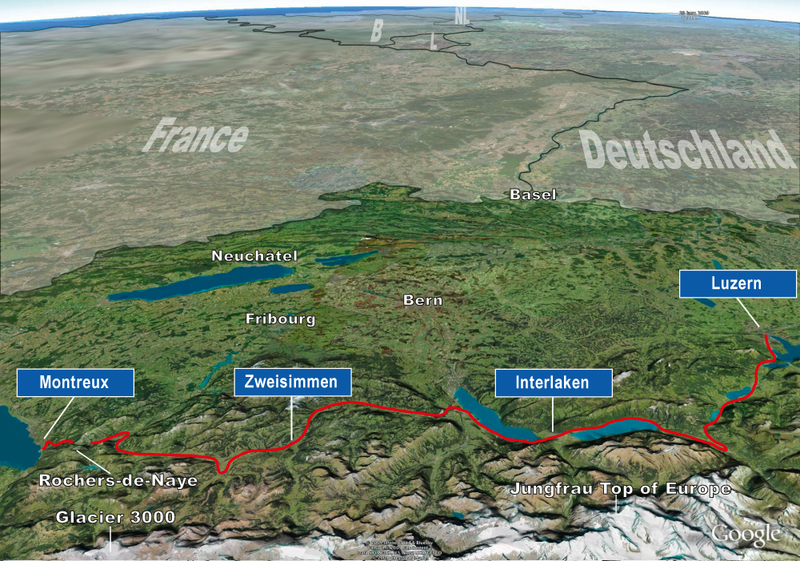 The valley narrows and the forests become darker alongside the raging river Simme, before it flows into Lake Thun. Your train will also pass through here as well. 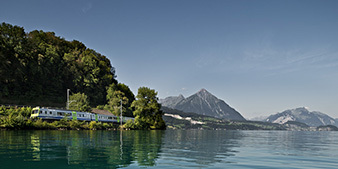 You are now in the heart of the Bernese Oberland. Traditional chalets with richly painted and carved façades, which are typical of the area, nestle around white churches. Over the centuries, the proud mountain folk have expressed their comfortable life style in an artistic manner. 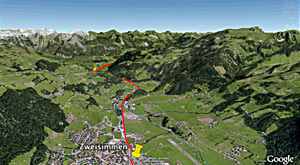 Today, the Simmental region remains a farming area with a population that has its own distinct personality and dialect.